Murray delivers an exceptional lesson experience and ranks in the top 15% of our teachers nationwide. I received my B.S. & Music Degree with concentration in instrumentalists from Morgan State University. I have been playing since the age of three years old and have been teaching since 2004. In 2016, I was accepted as a member of the National Association of Music Merchants (NAMM). I am very well rounded in all styles of music such as, Rock, Jazz, Gospel, Christian, Latin, Marching, Classical, Blues and the list goes on. 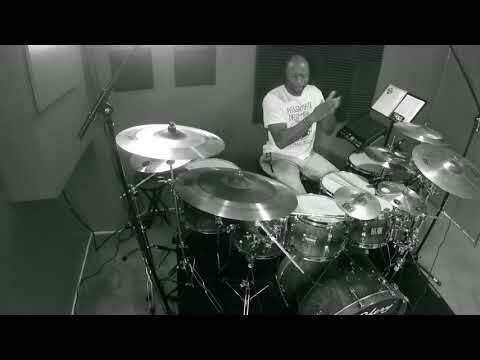 I am a Emmy Nominated drummer for my outstanding role in the 2015 Stage Musical "Oh Gospel" The Evolution of Gospel Music. 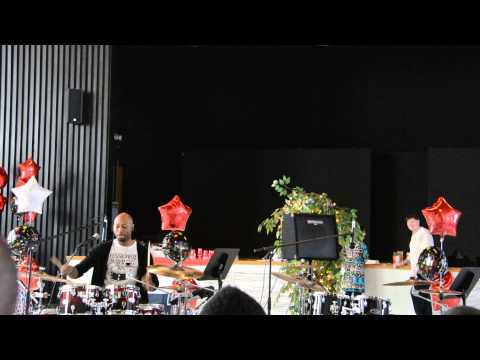 My drumming & percussion career has launch me into one of the most sought after instructors & drummers of our time. My skill level and personalty has brought about major partnerships with some of the biggest names in the industry such as Vic Furth, Evans Drum Heads, Sabian Cymbals, JamTec USA, Urbann Boards and Kick Strap. I have performed with many Stellers & Grammy artist such as Richard Smallwood, Tamela Mann, Marvin Sapp, Dorinda Clark Cole, Isaiah D Thomas, American Idol contestants and Sunday Best contestants just to name a few. I currently play full time at the New Antioch Baptist Church of Randallstown in Baltimore MD where the congregation is over 10,000 members. I am very proud of the releasing of my latest DVD entitle "Piper's Time 2 Groove" & "Nothing Too Hard" video to inspire all musicians around the World. With the launching of Passionate Drumming & Music Lessons, I am dedicated to equipping all my students with the instructions for reaching students goals. I welcome all students any age, any skill level. Hope to have you as a new student very soon! 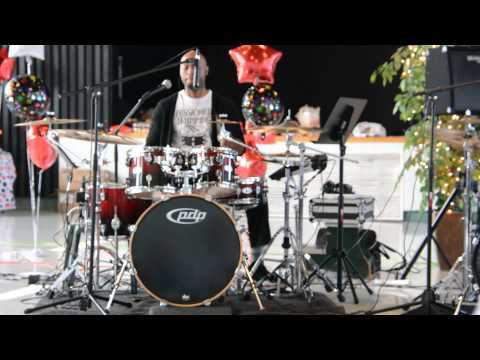 Murray S. Piper founder & director of Passionate Drumming & Music Lessons is driven by his early passion for drums. Murray has taken that same passion in which he plays and teaches from to motivate, inspire, and encourage each student to perform at their highest level. 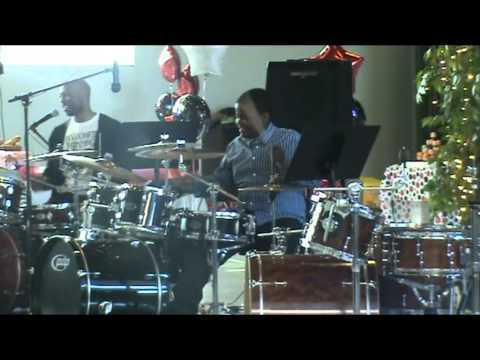 As the music director & drummer at this ministry, I truly enjoy preparing music on a weekly basics for the congregation. Music range from traditional christian music to contemporary gospel music. 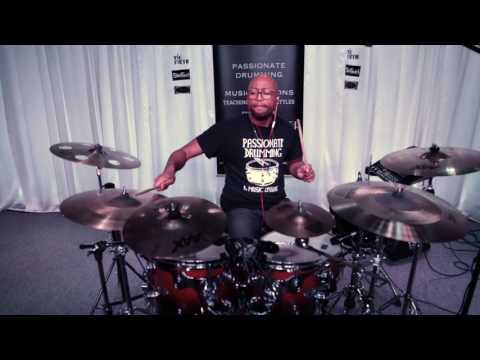 Murray S. Piper SHURE Drum Mastery 2019 Contest Video Hope You Enjoy! 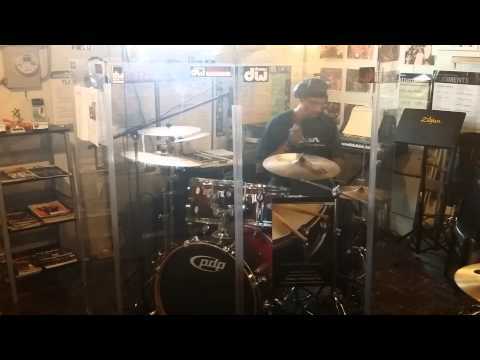 He's my drum cover to a song that got me through some tough times. Hope you enjoy? *I do not own the rights to this song! Excited to launch this new video and song entitled “Maria”! Excited about teaching many more online lessons in my new recording studio. Sign up for some amazing online lessons! Hand percussion lessons are great in my new online and recording studio! I love interacting with my students! Me speaking at our 2017 Winter Recital! Recitals at the Best! Amazing job to all of my students who performed at our 2017 Winter Recital! 2017 Winter Recital, pack house! 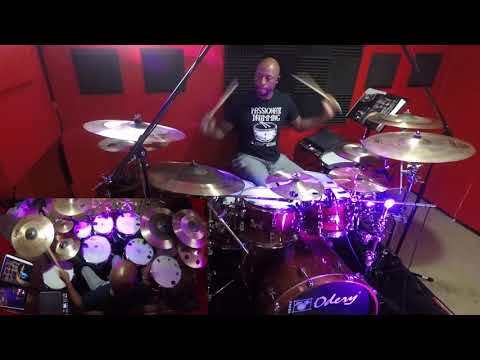 2017 New Drum Cover Video Entitled "Nothing Too Hard"
2017 "Piper's Time 2 Groove" Drum Cover Promo. To see full video, please visit my youtube channel. 2016 Musical Recital. Tyler performing his Recital piece. Only 4 years old! 2016 Musical Recital-All Students Who Performed! 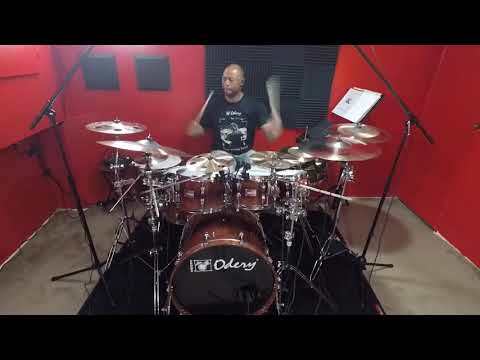 Please enjoy this drum cover from one of my most improved drum students. Song entitle Grace Wins! Listen With Headphones if you can. Playing at this years 2015 Winter Recital! 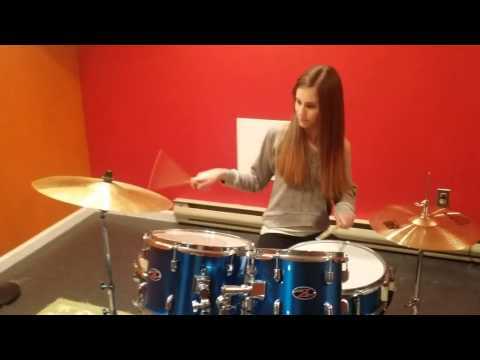 One of my Students Andi made a drum cover video to Melodies by Madison Beer. Hope you all enjoy our video! 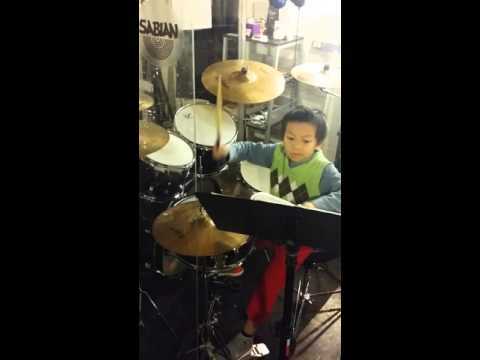 Huy is 6 years old & has been taking lessons since the age of 4. Huy is performing a 6/8 Blues pattern while reading the drum chart. 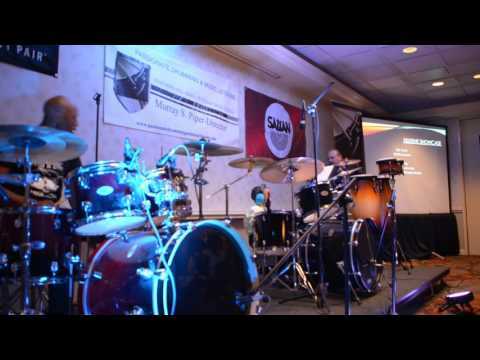 Murray S Piper performing at the 2014 Drum Clinic. 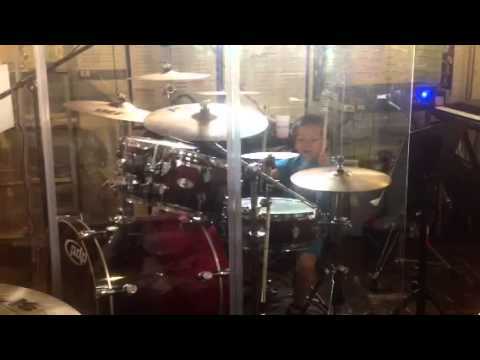 Drum Cover "He's Able"
My drum solo. Hope you enjoy! A photo with some of my students after our winter recital. Great job everyone! 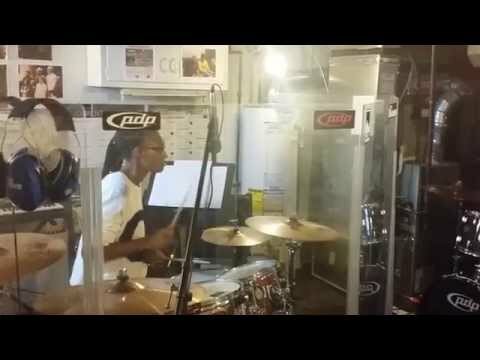 60 years young & still grooving on the kit! Sister & Brother taking lessons! Huy who is 4 Years Old! 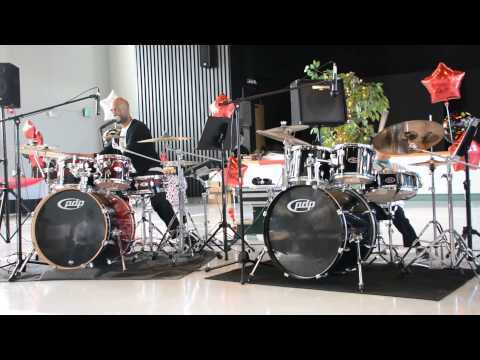 Orchid & Murray S Piper jamming to "Burnin It Down" by Jason Aldea in one of our lessons. Great job Orchid! 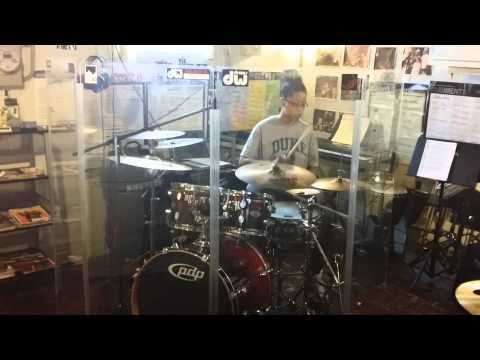 Please enjoy one of my advance students grooving to a Funk track. Please Enjoy! Excellent, excellent instructor! Mr. Murray has a great way with children... truly gifted! 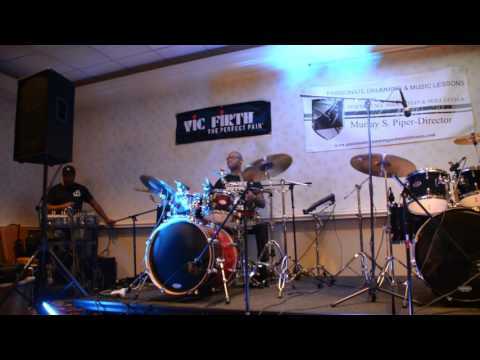 No need to hesitate if your looking for a drumming instructor...he is the real deal! Murray is wonderful! So happy to have found him. Murray has just been excellent, his ability to encourage and still push me to express myself gave me a lot of confidence on the drums. That was exactly what I needed. Murray is encouraging, humorous, and gifted as a teacher. Glad that we found him to teach a kid who tried a few instruments and nothing really clicked until now. Not only does he teach, but he’s also in high-demand for professional music gigs all over the country! Murray is very patient and has a tremendous passion to teach at ALL LEVELS!! Take me for example, I’m not a beginner, but I needed to sharpen my skills and kick a number of bad habits -Murray is perfect for that! Murray has been our instructor for a few years. He is fantastic. He brings energy and enthusiasm to every lesson. He caters to the needs of our child with caring patience and an pure love for drumming. Murray is a fantastic instructor. Very laid-back, fun, but also superb at teaching. Highly recommend! My daughter loves her drum lessons and is progressing very well. We are very satisfied with Murray and with TakeLessons.com. Murray is the best instructor I have had. He is super supportive, really nice, and a lot of fun. I really enjoy my lessons with him and I am learning a lot more about drumming from him than the other instructors I have had. 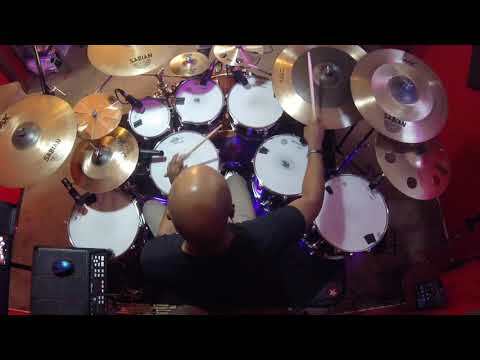 Murray Piper has been an Artist with SledgePad Innovations for over a year now and we would highly recommend him as a teacher, mentor and artist of his instrument. It is an honor to have such talent part of our company. Thank you for all that you do. Absolutely fantastic teacher - he was patient, knowledgeable, and very skilled at conveying the principles of drumming in an understandable manner for someone like me, a beginner. He also makes the lessons fun, which is the whole point of doing it! Murray is great implementing the lesson along with fun. I enjoyed the time we spent learning all about the ins and outs of drums. I would highly recommend Murray if you are interested in learning while having fun. Great guy! I have to say again...this man is a true professional...his teaching style will match anyone who has a passion to learn drumming of any kind...my second session with him... im able to play and identify and retain styles...patterens...accents...i could not have found a better instructor...not to mention murrays beautiful personality... if you live in the baltimore area..looking for a drum teacher...murray is your man...prices are very reasonable!! As a teacher he was pretty good for what my son needed. I can see why he has repeat students. The reason he is getting a one star review is because as a business man he is not honorable. Take lessons, the company he contracts through, made a billing mistake that caused our rate to go up. He did not honor the original price per lesson, and when asked about why he made that decision he lied. He said that it was Takelessons that made that decision. That is not true, it is up to the discretion of the teacher when it comes to billing matters. So if your looking for a good drum instructor, this is your guy. But if you want someone who is a good instructor and honorable you might want to look elsewhere. Murray did a great job interacting with my 9 year old. He has never taken lessons before and had so much fun! I was a little nervous about the online format but it was perfect. He was able to watch and copy everything Murray did and was able to see mistakes and correct my son as needed. I am very impressed with both the instructor and the format. Very enthusiastic, teaches in an easy manner that makes it simple to build off of earlier concepts...great with young kids as my son started with him at age 10. My son loves working with him. Would recommend to anyone, the most patient and excellent teacher out there, he's also extremely Talented, talks the talk and walks the walk! After a recent lesson with Murray my 9 year old son stated, "That was fun!" When you make the teaching experience enjoyable for children they are eager to learn, and they stick with it; that's what Murray is great at doing. I highly recommend him. Murray is an excellent teacher, musician and all 'round good guy. He is very adept at understanding your deficiencies and giving you the right tools to improve. His positive attitude is contagious! It was a very positive experience. My son is learning so much and have fun in the process. Just completed the first lesson, everything went great. The instructor is very approachable, knowledgeable, and encouraging. Really Great for this 8 year old. My son really enjoyed his first lesson!!! Friendly teacher! He customizes our lesson according to my needs and really supports me! Murray has been teaching my 8 year old son for the past 4 months. He is amazing, encouraging, and makes it fun! He is very patient and kind. I would recommend him to every parent who wishes to give her child drum lessons! Very patient, knowledgeable and fun loving individual. My son enjoys learning about the drums and looks forward to sessions with Mr. Murray!.. Within 5 sessions of working with Murray my son was already playing like a professional! I love my drum lessons with Murray. I am learning so much. Murray is an awesome instructor. He seems to understand my learning style and is working with me on my level. Which has made my lessons exciting and fun. I will definitely be continuing my lessons. Murray is awesome!!! Very detailed and organized. He has the right personality for teaching. His patience with students is a great attribute to him being a great instructor. If you want to become a drummer, then Murray Piper is your guy!!! Excellent experience with my first 2 classes. Murray is patient and dedicated. I look forward to my future classes with him. Great first lesson. Murray has patience and knowledge. My son was very impressed, asked why we had been taking drum lessons from his local instructor for so long. He was reticent before the lesson saying that he wasn't sure that our internet connection would be good enough, saying that he wasn't sure we could really do a lesson online instead of face to face. He came out of his room after the lesson and said he loved it, and that it worked really well, that our connection was just fine, and that he could hear everything on both sides. He was very happy with the result. He is really happy to have a clear goal of playing snare on the drum line in marching band, and he's very happy about having an instructor who can really help him to get there. Great experience so far! We had our first lesson this week and it was great! We have had two lessons with Murray. My 8 year old loves her lessons. We have had other teachers in the past and he is by far the best. My daughter is engaged, excited, and is learning quickly. Murray makes learning fun! He encourages and explains and rewards with clapping and laughing!!! He knows his stuff and can relate and engage even over the internet. We love this teacher! Murray Piper is an excellent, excellent music teacher for kids (and adults too). Unlike some of my past music teachers, who's instrument skills far exceed their ability to teach, Murray is an excellent communicator, super engaging, and keeps lessons really fun. My 7 year old Son is receiving drum lessons from Mr. Piper, and loves interacting with him. Murray is also happy to adjust his teaching style to suit the personality of his students. Most importantly as a Father, Murray is kind, upbeat, and professional with every member of my family, including my two children who aren't (yet) receiving music lessons. Thank you Murray! You are truly excellent at what you do. We are still so happy that we chose Mr Murray. We would highly recommend him for any percussion instrument instruction. Murray is extremely enthusiastic and energetic during his lessons with my son, Noah. He has a great knowledge of the history and origins of music and is teaching my son to become a well rounded musician. I couldn't be happier with my choice of instructor. Murray did a great job with my 6 yr old son's first drum lesson. He was able to teach the fundalmentals while making it a fun experience. My son was very excited and enjoyed his first lesson with Murray. Murray is great. He comes to our home every week and not only teaches my daughter the different rudiments of drumming, but he also connects with her and gears every lesson toward her musical interests and style. She is having a lot of fun. Wow...I couldn't believe it. In one lesson Murray had me playing the drums to my favorite song! Murray's lessons has our son excited about learning his instrument! Murray transfers learning lessons into play and fun. We look forward to more sessions with Murray! Mr. Piper is patient with the speed at which students learn, is incredible at translating complex patterns and phrases into simple teaching styles that students can easily comprehend and adjust to, and builds my daughter's confidence in more than using the drum kit but also in her personal experiences. I say he cares about all his students more than just being a "drum" teacher, but a friend and at times a supporting parent for the youth. I interact with many of his adult students, and we are all very appreciative of his professionalism and individual connection to our styles while teaching each of us individually. He is very astute at the art and mechanics of drumming which translates into a flexible personable teacher. Oh yes, For all the tangibles and intangibles, his prices are soooo affordable and competitive. Murray is a great teacher! He loves what he does and is very encouraging to his students. We are glad we found him! Very good with my son (age 11). 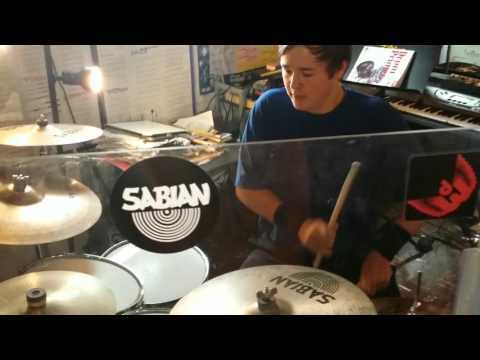 My son can read music, play different styles of music and knows several drum feels. Very pleased with his progress and with Passionate Drumming as an instructor and business! Murray has been teaching my daughter drums for almost 4 years now. He is fabulous and brings his love for the drums and his positive energy to every lesson! Murray is a fantastic drummer and I am thrilled that he is teaching my daughter how to be as amazing as he is! If you are looking for a professional, energetic, kind, passionate man for a teacher, Murray is your man!!!! Murray is an exsquisite drum teacher. He teaches my son all of the fundamentals of playing the drums. He ensures that my son knows how to read music, and knows how to play all genres of music. His lessons are always fun and he encourages my son to have fun while playing, but to do so professionally as well. 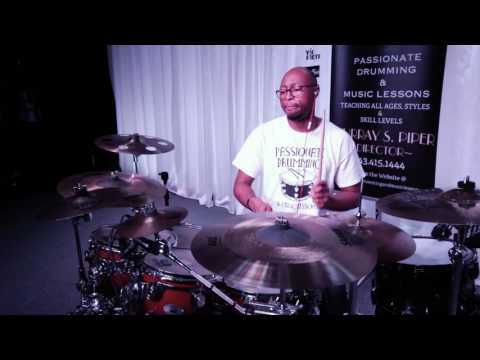 Murray makes sure that my son knows the different drum rudiments that he plays, such as, paradiddles/flamadiddles, so when speaks about a piece that he has played, he can sound educated and professional about his craft. Murray deposits fruitful information about how to conduct business, if you are planning to have a career in the music industry. Thank you for being a great teacher and influence to my child. Minister Piper is a wonderful teacher, my 9 years old has progressed rapidly under his tutelage. He truly enjoys his time spent with Minister Piper. This is only my 4th week and I have already decided to continue taking lessons from Murray. His skill, knowledge, teaching style, and enthusiasm has inspired me to practice for SEVERAL hours a week. Murray has not just simply gone through the lesson plan, but has given me some very good suggestions on how to practice more efficiently and gain comfort with new material. I see progress and I look forward to more in the upcoming months. Murray was awesome! His talent captured our son's eyes and interest. Murray was hands on from the beginning to the end of his lessons. We look forward to our upcoming sessions. Very pleased!!! He loved his first lesson and hasn't stopped with the sticks since. He can't wait for the next lesson. Good first class. Nice guy and talented musician. Murray is a great teacher who is quick to identify areas for improvement, helpful exercises to make it happen, and keep it fun the whole time. He's also obviously very dedicated and passionate, as any professional musician must be. Murray is a dedicated and a serious teacher. Very enthusiastic and really good with children. He is extremely professional. I highly recommend him as a teacher! One of many words to describe Murray, AWESOMENESS! Meeting Murray and learning under his instructions has brought a bigger meaning to playing the drums. His love of drums and music shows in how he teaches his students. He never criticizes your mistakes and works along side of you, teaching you, until you learn and understand it all. He is very patient, professional and the best drummer I have ever met. I am truly blessed to have him as an instructor and look forward to many years of his teachings. Not enough stars in the world to rate him!!!!! Mr. Murray is very patient about teaching me all the cool and important techniques I need to play my grooves and he is very helpful on answering all the questions that I encountered during my out and in class practices. I strongly recommend Mr. Murray! I am blown away every week with how engaged and enthused my 7 year old is while under Murray's instruction. His style and technique are clearly adapted to the benefit of the individual student and his professionalism is a breath of fresh air. My child is having so much fun and is thriving in his drumming lesson. We recommend Mr Piper 150 % ! 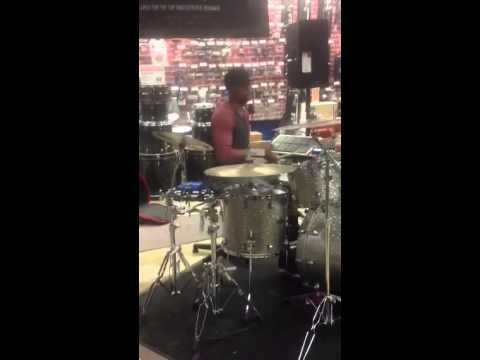 Overall, being a beginner drummer, it was experience. Mr. Murray P is a very professional teacher. His teaching method is excellent. The lessons that Mr. Murray P. taught me, as a beginner, was outstanding. I learn so much in a little bit of time. My rudiment, notes, etc. 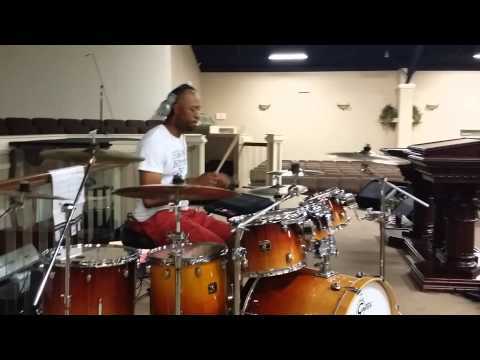 I have never played drums before, but after learning from Mr. Murray P, I know i would have learn more than enough. My hats off to Mr. Murray P, and I would recommend him to everyone. Murray does a great job of encouraging the student while he is teaching. He takes the time needed to explain the very basics before moving onto the more difficult concepts. He played for me and my family after my lesson was over! We really enjoyed it! He knows what he's doing and he has the instrument knowledge to back it up! He provides a comfortable learning environment. My son loves to go to his class and is very eager to learn. Mr. Murray has been very helpful and has made it easy to find the perfect drum set and other materials needed to practice at home. I'm sure we will be working with him for a very long time.